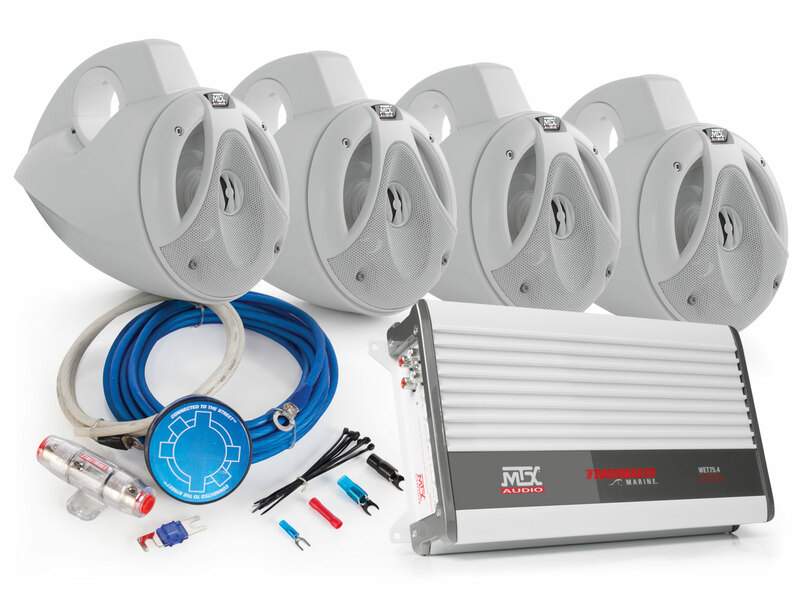 This package is designed to be used in any marine or off-road vehicle environment where tower speakers can be utilized to add high output sound. 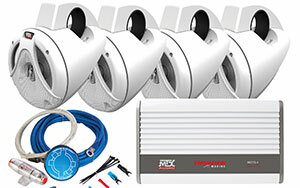 This complete package is designed to upgrade your existing system to bring the Thunder. This package is designed to be used in any marine or off-road vehicle environment where tower speakers can be utilized to add high output sound. 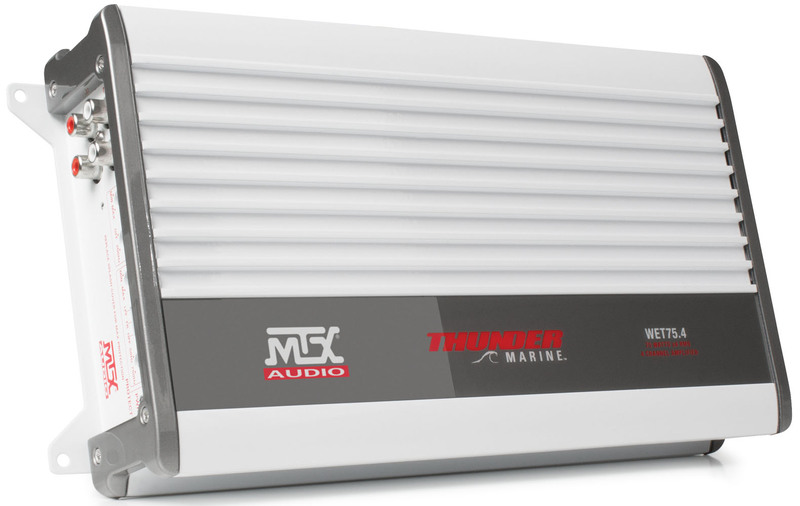 WET Series amplifiers from MTX Audio are designed to deliver all the power your system needs whether they are being used on a boat or off-road vehcile. The WET75.4 is a 4-channel full range amplifier. 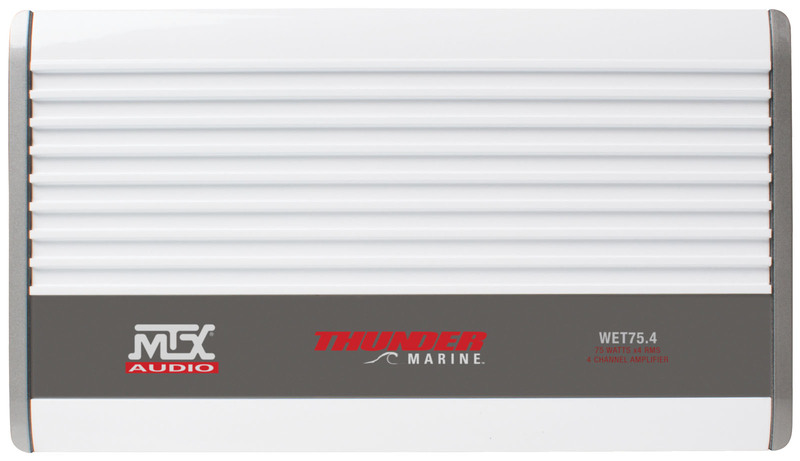 The WET75.4 is capable of producing up to 400W total RMS power, 100 watts per channel. 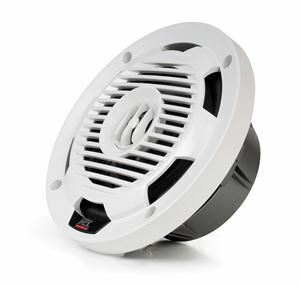 The unit features a a class A/B circuit design that delivers exceptional sound quality and small chassis with an extruded heat sink that effectively dissipates heat ensuring long play times. 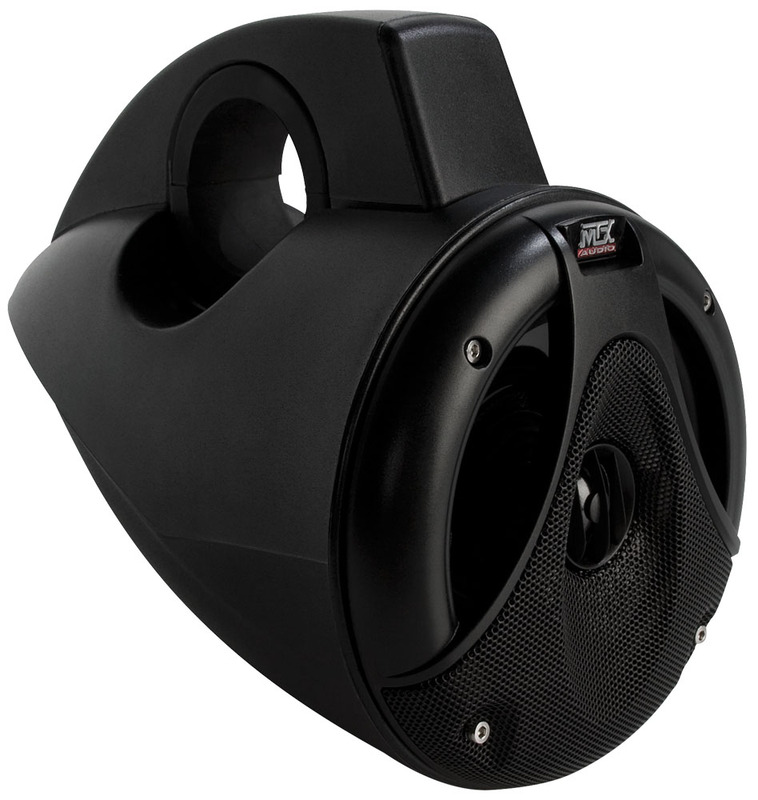 The TM652WB is a 6.5" coaxial speaker with HDPE enclosure capable of delivering up to 75 watts RMS power and designed to mount to the tower or roll cage of boats and UTV's. 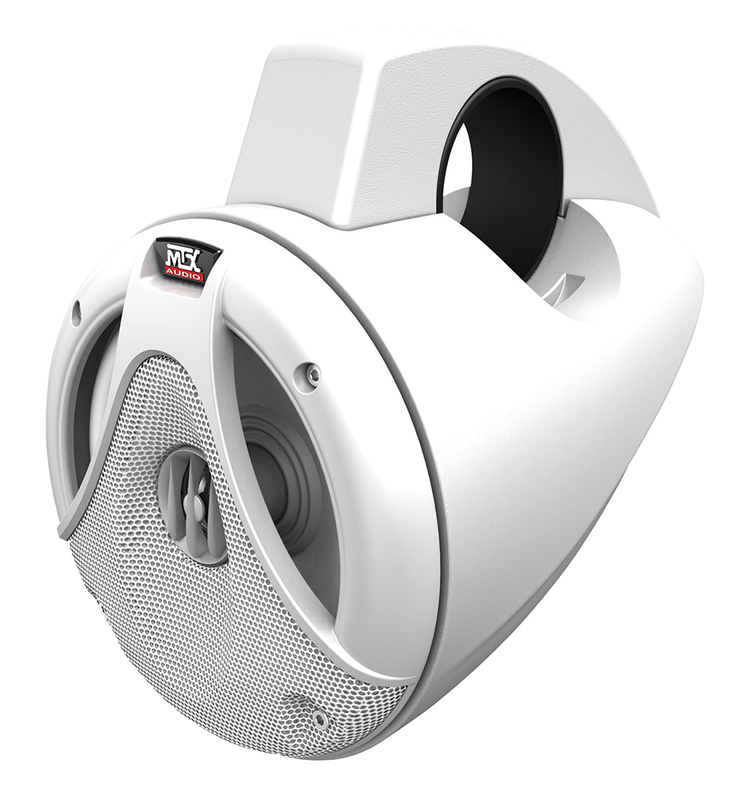 These speakers are designed to withstand the elements. They polypropylene woofer and dome tweeter are weather resistant. 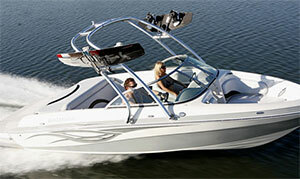 The HDPE enclosure is highly durable and includes a UV inhibitor that will prevent it from fading over time. 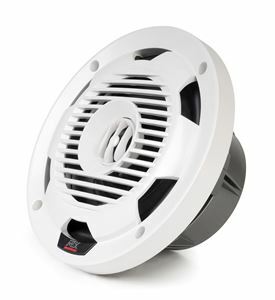 The grilles feature ASA construction making them nearly unbreakable and all connections are made through the mounting bar and mounting bracket so no speaker leads are exposed and will not be corroded. 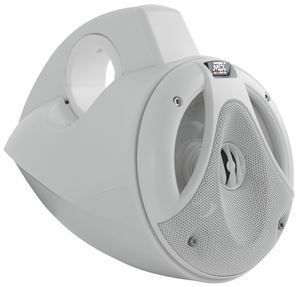 You can choose either black or white speakers in this package to compliment your boat or UTV's color scheme. Fits Bars Between 2-1/8" and 3"
This package additionally includes an 8-gauge ZN5K-08 amplifier kit that includes power, ground, and remote wire for connecting the amplifier to the vehicle's electrical system. 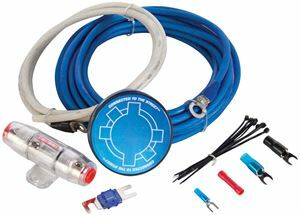 An upgrade to a 4-gauge kit is available in the drop down menu. 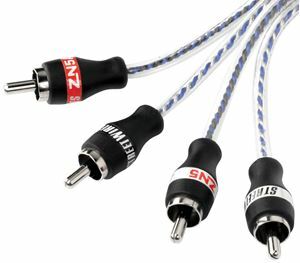 Interconnects are also included to connect the source unit to the amplifier in either a 3.5 meter or 6 meter length. Finally, the package includes 50 feet of 14-gauge speaker wire for connecting the speakers to the amplifier.